I am so obsessed with guacamole, and have been for years, long before I spring cleaned my diet and got healthy. It's one of those things that tastes so delicious and creamy, you'd never think it was actually really good for you. To be fair though I did used to eat it with store- bought tortilla chips which are generally full of flavourings, additives and other nasties, but these days I enjoy it with homemade corn tortilla chips, spicy sweet potato wedges or carrot sticks - it's just heaven in a bowl. 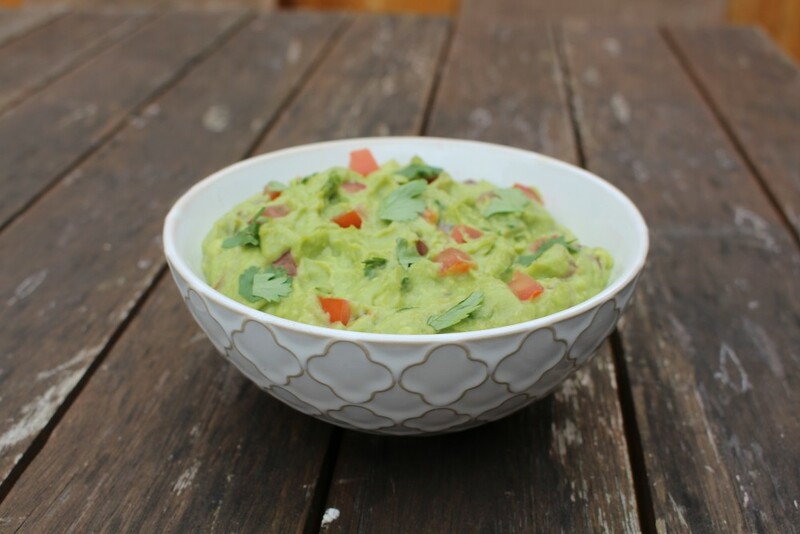 Guacamole is packed full of good fats, antioxidants and vitamins thanks to our lovely avocado friends, and it's the perfect dip to whizz up if you need a quick snack, or if you're having people over and want to impress them with something homemade. It's super easy to make, and will take you all of five minutes. So what are you waiting for - go get your guac on! Arriba! To make the guacamole, simply combine the avocados, lime juice, coriander, garlic, salt and cumin in a food processor and blend until smooth. Spoon the mixture into a bowl, then finely chop the onion and tomato and stir them in. Easy! With a passion for all things health and wellness, I am currently on a mission to spread my love of clean eating, positivity and a healthy lifestyle with the world. As the latter half of blogging duo Dower & Hollingsworth, I enjoy nothing more than sharing my simple, healthy and delicious recipes, and hopefully, making a difference to people's lives while I'm at it.